I'm not sure where these are saved now. Checked the old file in the root program folder and it just had a couple of old entries. It's not saved in C:\Users\UserName\Documents\CDDS and tools\CDDS either. Eventually it would be good to have a standardized format and location for the various files I suppose. 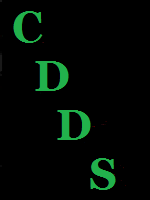 Regardless of where this information is saved currently, it would be nice to be able to edit the list from the Smart Content tab of the CDDS GUI. Actually just the possibility to delete no longer needed Custom Compatibilities would be fine. Either that or increase the popup window size so it is easier to navigate. Mainly it is too narrow to see a lot of the saved compatibilities. Have a good day and once again: Thanks! I checked Custom Compatibilities is being save to Users\<user>\MyDocuments\ not the Users\<user>\MyDocuments\CDDS and tools\CDDS I'll get fixed. Yes, I could add the option to edit the Custom Compatibilities and make the popup bigger. Ah okay. I never even thought to look in the root of the Documents folder. part off of the read and write path for the file.